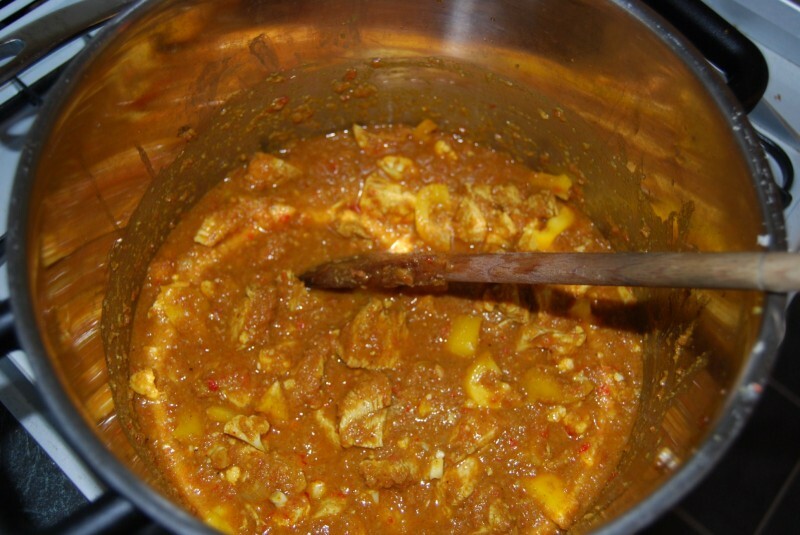 Here’s my latest curry recipe – this time a saucy chicken dish with loads of fresh veg. 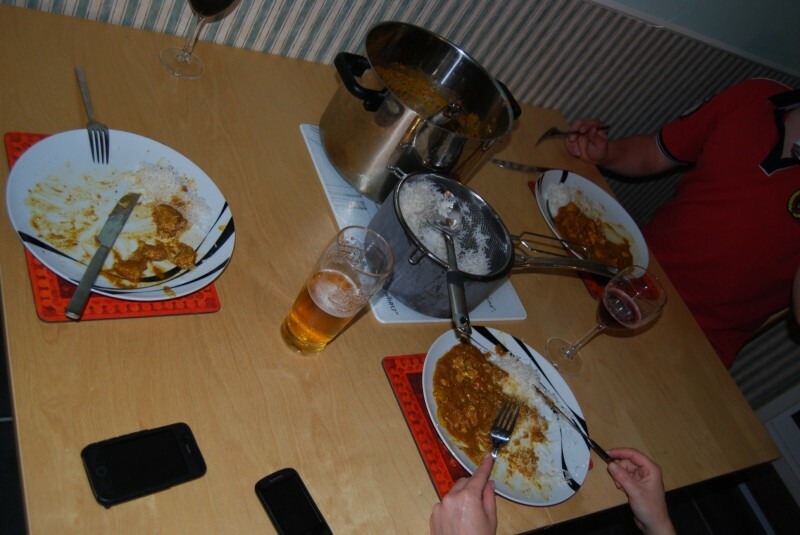 The portions here should comfortably be enough for four hungry people – can probably stretch to six mere mortals. 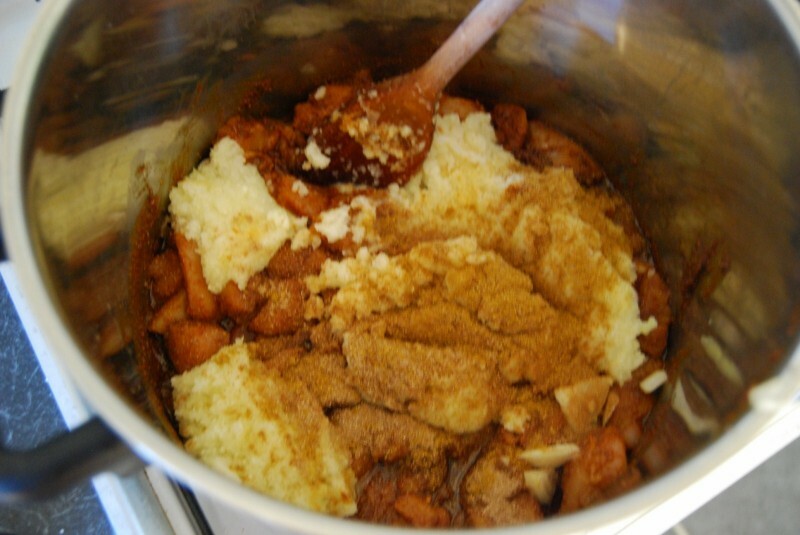 To start, get a big pan, fill two-thirds with water, and add a splash of vegetable oil. 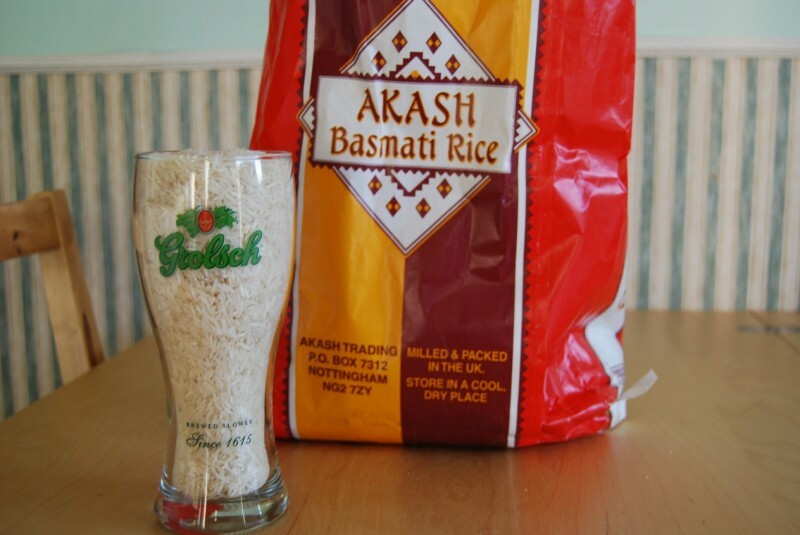 Then, scoop a pint of basmati rice from your sack, and plonk that in the water. Cover and leave; soak time is valuable – if at all possible do this a few hours before you start to cook. 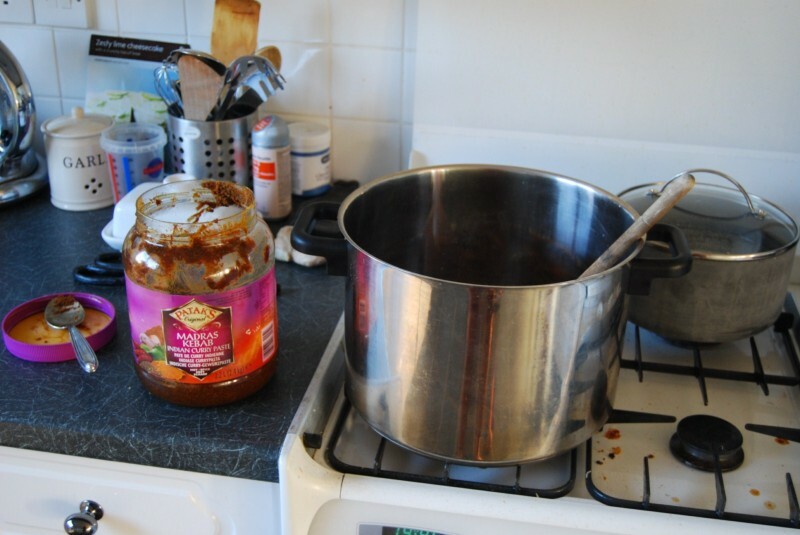 Next cover the bottom of a big pot with oil, and dump a load of Madras paste in there – it’s sticky stuff and I put six heaped tablespoon full in. Stir it all up and leave on the lowest heat setting you’ve got. 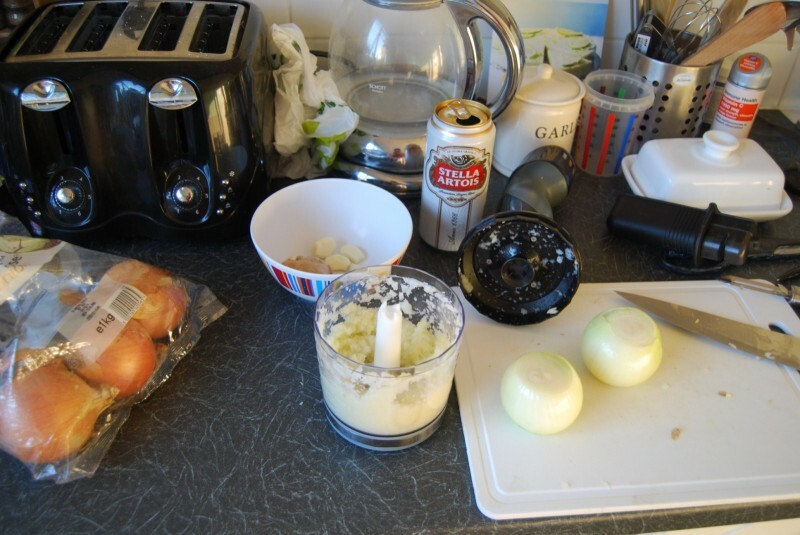 Next, peel and prepare three medium sized onions, the best part of a bulb of garlic, and a decent sized knob of ginger. Thouroughly blend this lot up with some coconut milk and add it to the chicken. Add some ground coriander, cumin and garam masala and get the hob straight up to full heat. 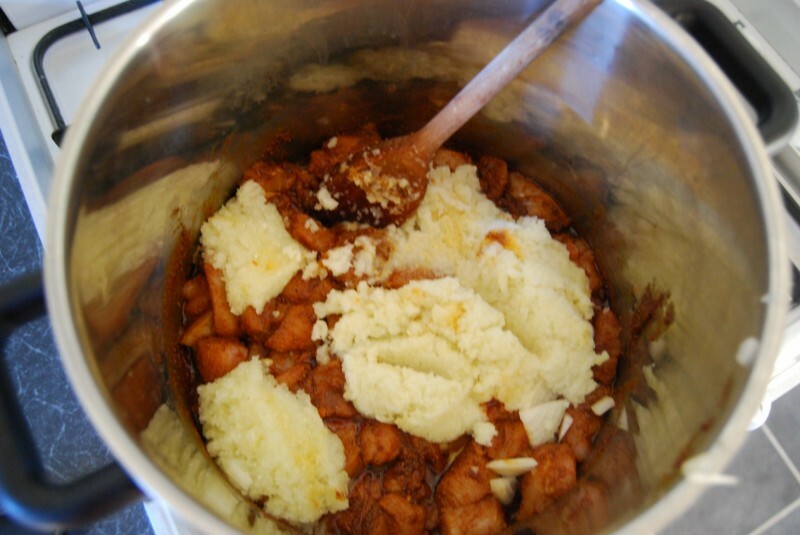 Get frying – while that’s happening add some chopped cauliflower. Don’t let it fry for too long – we don’t want dry chicken. While that’s going on (don’t forget to stir! 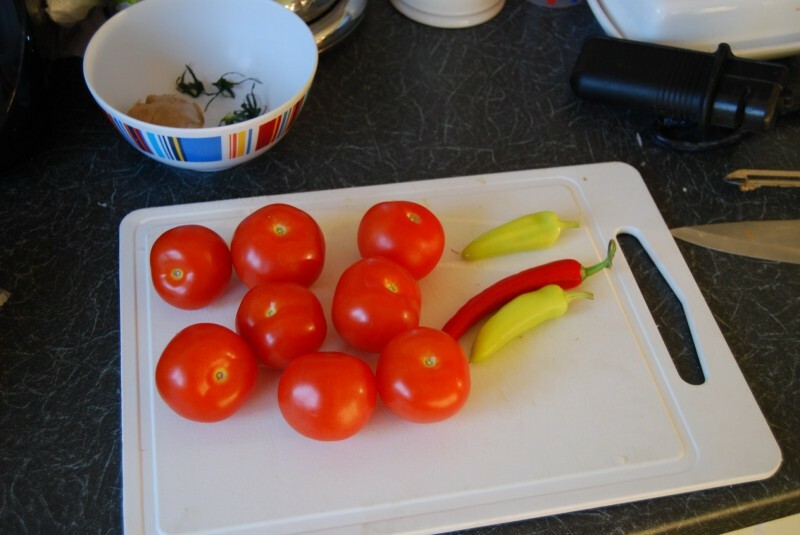 ), blend 8 fresh tomatoes and 4 fresh chillis. 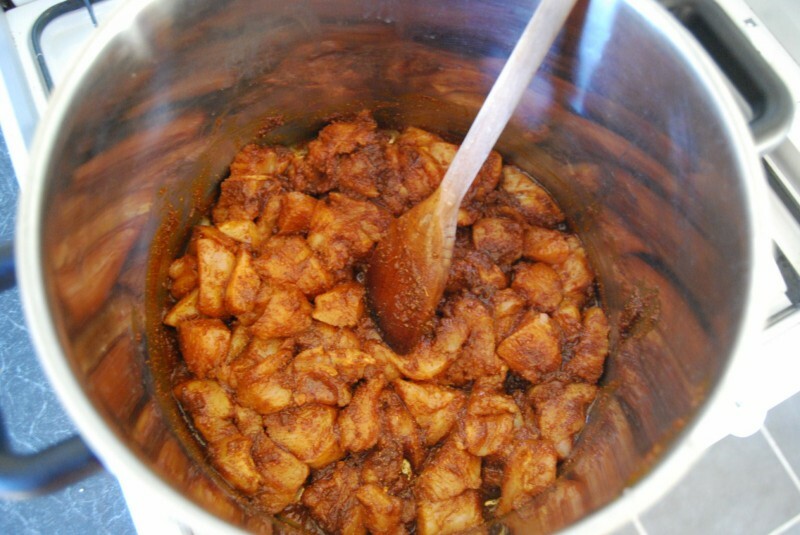 As soon as the chicken looks cooked, add the new blend. Let it bubble away – add some chopped peppers too. Turn down to a nice low heat. You can hold at this point for quite a while if you need to, only continue when you’re about 15 minutes away from wanting to dish up. Fire up the rice! As I’ve mentioned before, if a scum builds up scoop it off with a spoon. 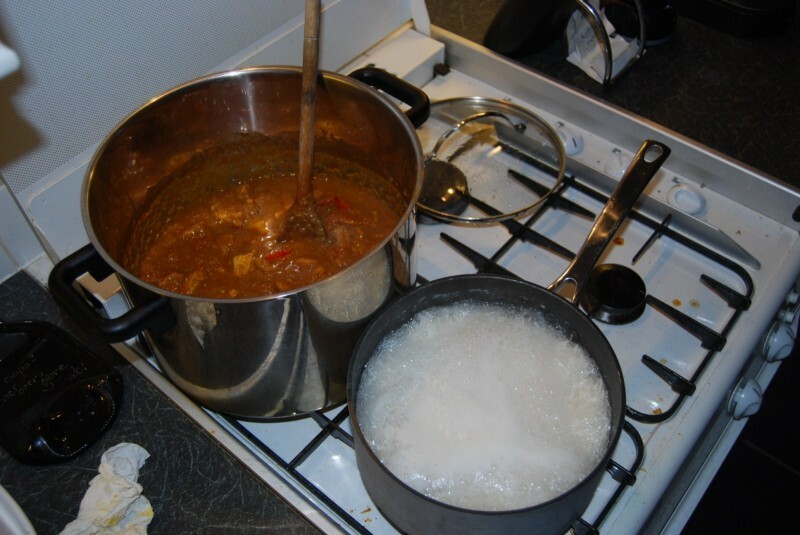 Rice should be gently twirling in the water – not boiling too furiously (too hot), nor stuck at the bottom (too cold). Rice needs constant attention to get it right. As soon as the grains aren’t hard in the middle, it is ready.